I’ve included a couple of peppercorns in the photograph on the right so you can see how extremely small they are. 1. Stir them into beaten egg, with some finely sliced spring onions, white pepper and salt if you need it, and make an omelette: I do this in a wok, scrambling the egg in the base of the wok until it’s nearly cooked, and then leaving it to turn golden on the base before flipping it over to fry the other side. follows: Break up the rice so it doesn’t stick together in large clumps; Heat a little oil in a seasoned wok, add a spoonful or two of papery dried shrimp and fry gently until they smell amazing and are faintly golden. Add some beaten egg. When the egg is half-cooked, tip in the cold, cooked rice and stir-fry over a high heat until it is piping hot and fragrant, and making popping noises against the side of the wok. Season with salt or light soy sauce to taste. Add finely sliced spring onion greens and continue to stir until you can smell them. Stir in a tiny amount of sesame oil if you please, to enhance the aroma, and then serve. This would be even more delicious with brown rice, in my opinion. 3. Add papery dried shrimp, dried laver seaweed (紫菜) and finely sliced spring onion greens to the clear stock in which you serve wontons or boiled jiaozi dumplings (full recipe in my book Every Grain of Rice). 4. Fry generous amounts of the shrimps in hot oil until crisp and fragrant; set aside. Add a little more oil to your wok, add very finely sliced spring greens, Savoy cabbage or other greens and stir-fry until barely cooked. 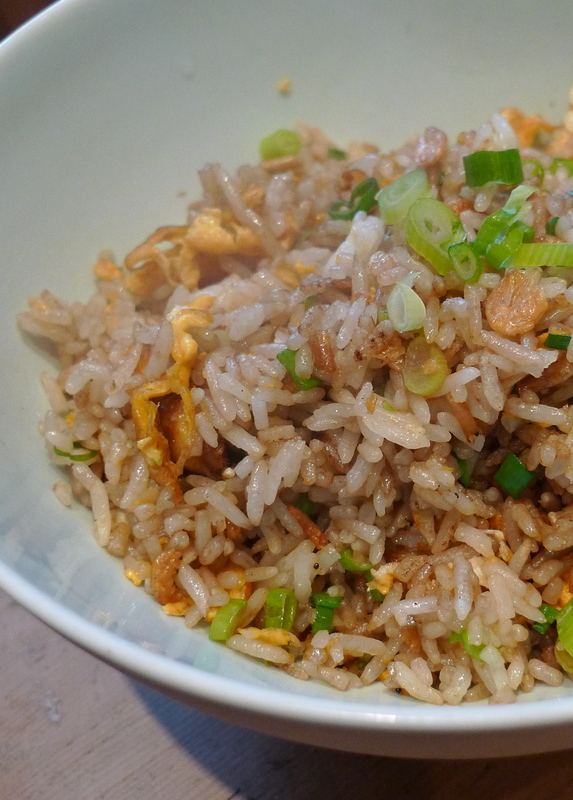 Add the fried shrimps, with salt and soy sauce to taste, and finally spring onions (full recipe in Every Grain of Rice). This is possibly my favourite way to eat cabbage. The shrimp are so thin that they can be used directly from frozen, and they keep for ages in the freezer. An indispensable stand-by ingredient. I don’t think I have ever seen dried shrimp THIS small. I must tried dried shrimp again. I hated them as a child, the texture reminded me of cicada shells that we would collect in the garden. They do sound like they would be a nice addition to fried rice. Many thanks, Fushcia. I’ve never seen any articles about wonderful xiapi before. 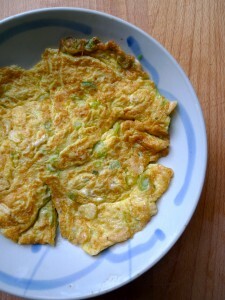 One additional note – they work wonderfully in xian doujiang (savory soybean milk) for breakfast. Sounds like a good thing for the freezer but question: when I’m roaming my local Asian market, what aisle am I likely to find them in? Are they sold dry in bags or are they already in the freezer? Thanks for reminding me! Actually at the Dragon Well Manor in Hangzhou I’ve had fresh soymilk with xiapi, zhacai (preserved mustard tuber), spring onions, fried youtiao (doughstick) etc – utterly delicious. Jennifer – you will find them in the refrigerated section, in flat plastic packets which are usually mostly see-through so you can see the hundreds, or probably thousands, of little shrimp inside. You can keep them in the fridge, but in my experience they keep longer in the freezer – although frankly, at the rate I use them these days, long storage is not really an issue! Fuchsia, so glad to read this piece, have been thinking about buying these to try out. Once cooked, do they kind of “disappear” or are the little papery shells still there as a textural element to the dishes they’re in? Fuchsia, I love your blog, and shall be revisiting it regularly. Fascinating posts, and wide ranging within your subject area too. I have already picked up some great tips for cooking, and learned a lot. It has also goaded me into thinking I must get on with blogging on my own website too …. soon (as I seem to have said to myself for ages!). It was very good to meet you on Wednesday at the Hatchards do. Steph – depending on the cooking method, they tend to be crisp and fragrant, a little softened by soup, or a very minor textural element of a dish. Basically, you don’t feel you are munching on something papery or husky, if that’s what you were asking! Jonathan- it was lovely meeting you too. And good luck with your blog. I hope it will be full of birdsounds! I am looking into purchasing dried shrimp in order to increase the Eastern dishes I serve. We do not have any Asian markets near and it takes over an hour to get to one so I am looking online. And a bit confused! 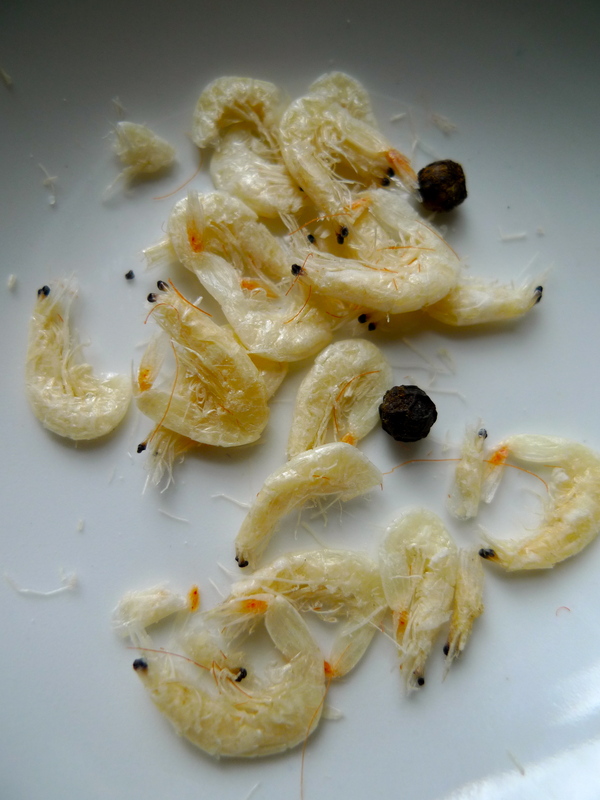 What is the difference between: Shrimp skins, Shrimp fry, and dried shrimp? ‘Shrimp skins’ will be these very thin, papery dried shrimp (it’s a little translation of the Chinese xia pi). I’m not sure about the other two, though! I guess ‘dried shrimp’ will be the larger shrimps that need soaking in hot water before cooking. ‘Shrimp fry’ – no idea. dried shrimp we call Xia Mi 虾米(small size), the large size call Kai Yang 开洋. I finally got to the nearest Asian market (Korean actually)that is an hour away and found some dried shrimp along with salted ones. I came back for ideas of how to use them and can’t wait to try them out. Excellent work Fuchsia! We don’t have dried shrimp here in Athens (Greece) though, can we use pre-cooked shrimp instead? :) Sorry if this sounds weird, we’re still in the learning process for the delicious Chinese cuisine. You might try using shrimp that are salted and then fried until crisp…? I’m guessing they will taste good, but will lack the intensity of flavour of the Chinese dried shrimp. If you do try, let me know how you get along!